In 1960, the first ever prime-time animated TV series took to the air. The Flintstones was, pretty obviously, a blatant, albeit animated, take-off (read rip-off) of the legendary TV series The Honeymooners. The similarities of the main characters were all-too-easy to spot. 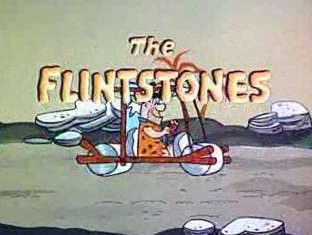 Fred Flintstone, the show’s central character, was a blustery, quick-tempered, loud-mouthed, blowhard. But he somehow had a fun and lovable side to him, exactly like Jackie Gleason’s brilliant Honeymooners lead character, Ralph Kramdon. Fred’s long-suffering wife, Wilma, was familiar with her husband’s many and frequent flaws and foibles. Wilma was strong and wise-cracking, more or less patterned after Ralph’s tough but caring wife, Alice. On The Honeymooners, Ralph’s happy-go-lucky, easygoing best friend was Ed Norton. Fred’s counterpart was the affable and always loyal Barney Rubble. Ed Norton had a job working as a city sewer worker. And Barney was….er, well, ummm……you see, Barney’s job was… What exactly did Barney Rubble do for a living? Even self-professed Flintstones fanatics can’t agree on an answer. The people who ponder about “imponderables” weren’t the only ones who asked the question. In research for his book on “imponderables”, author David Feldman made a direct call to Hanna-Barbera studios, the studio that produced The Flintstones TV show in its original run from 1960 to 1966. The security guard went on to explain to the amazed Feldman that he received many calls from inebriated and drunken Flinststones fans in the middle of the night. They anxiously ask for Barney Rubble’s vocation before they nod off for the evening. Feldman did call back, this time during regular hours. He spoke to Carol Keis of Hanna-Barbera’s public relations department. Carol immediately informed him that “What does Barney Rubble do for a living?” was, indeed, the company’s most frequently asked question in all of Flintstones trivia. She confirmed the most commonly accepted answer: “The fact is that Barney worked for Fred’s employer, ‘Bedrock Quarry and Gravel'”. Hanna-Barbera does not have official archives, so the helpful Ms. Keis couldn’t assure Feldman that she hadn’t neglected one of Barney Rubble’s jobs. Yes, Barney did have other jobs during the six year run of The Flintstones. In fact, Barney actually played Fred’s boss at the quarry in one episode. Along with Fred, Barney also, in other episodes, was a private detective, a photographer, and a short-order cook. Sure, the lack of continuity is distressing. But as with all the great classics of early TV, Gilligan’s Island, I Love Lucy, I Dream of Jeannie, et al, at the time of the original filming of these series, now regarded as “classics”, the actors and actresses had no idea these shows would still be watched, enjoyed, dissected and pored over by rabid fans the world over. Look at how many jobs Homer Simpson has had!